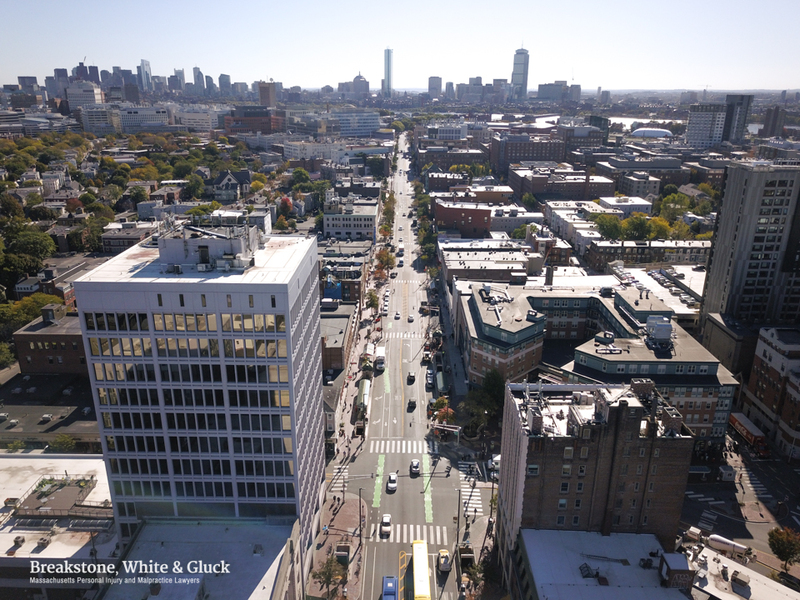 Safety for pedestrians and cyclists is a top concern in Central Square in Cambridge. Central Square is located around the intersection of Prospect Street, Massachusetts Avenue and Western Avenue in Cambridge. This area is a commuter hub; the Central Square MBTA subway station and bus stop are located here, near Cambridge City Hall. The state of Massachusetts has designated Central Square as an official cultural district, for its mix of theater and arts, restaurants and history. The NECCO building was long part of that history, but these days, 250 Massachusetts Avenue is now the Novartis’ global headquarters. The Cambridge YMCA is there and MIT is nearby. 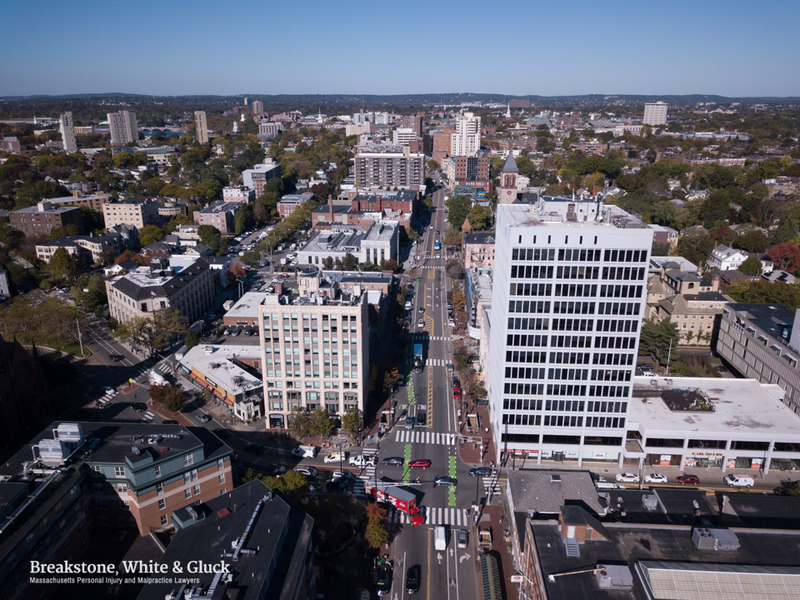 Over the years, there have been numerous pedestrian and bicycle accidents in Central Square. 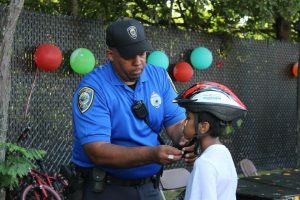 Central Square was the #1 location for bike crashes in Massachusetts from 2005-2014, according to the Massachusetts Department of Transportation (MassDOT). It was the 5th highest pedestrian crash location. The City of Cambridge has worked to improve safety by improving crosswalks and adding bike lanes across the city. In December 2016, new bike lanes were laid down in Central Square, northbound on Massachusetts Avenue between Sydney and Douglass streets. Inman Square in Cambridge. The Inman Square Fire House – or Cambridge Fire Department Station 5 – is on the left. Central Square is up ahead. Looking down Hampshire Street from Inman Square. You can see a few birds made our photo, as did a driver in the bike lane. Not where he is supposed to be. Drivers, please stay out of the bike lane! Up high over Inman Square in Cambridge. Looking over Inman Square toward the City of Boston. Directly over the intersection of Hampshire and Cambridge streets. 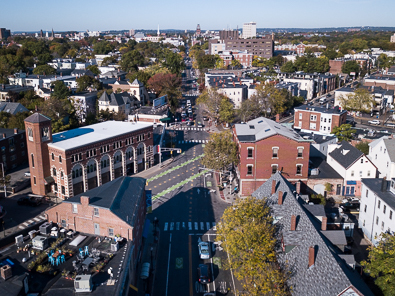 The City of Cambridge has worked to improve safety for cyclists in Inman Square, recently adding new separated bike lanes on both sides of Cambridge Street, from Inman Square to Quincy Street, which approaches Harvard Square. This is .7 miles of new bike lanes with paint, flex posts and other temporary materials to help cyclists stand out. And the new lanes pass Cambridge Rindge & Latin, which serves more than 1,900 high school students. Last fall, the city also banned drivers from making certain left turns in Inman Square, after many years of bike crashes followed by a fatal bike accident last June.